Angel’s Touch formula contains Emu Oil, Glucosamine Sulfate and NON-GMO plant extracts. Emu Oil is hypo-allergenic. It’s fast-acting and deep-penetrating giving you instant pain relief while moisturizing your skin. Penetrates deep into your skin to relieve aching joints and muscles. With a superior formula consisting of anti-inflammatory properties. Combined with Emu Oil, Glucosamine Sulfate and NON-GMO plant extracts delivers instant relief. Arthritis, Back Aches, Joint Pain, Bruises/Sprains, Muscle Pain, and Sports Injuries. Angel’s Touch reduces inflammation in the skin, deep tissues and joints. Recommended by professional athletes, doctors, physical therapists, massage therapists, and those who have experienced pain for years. 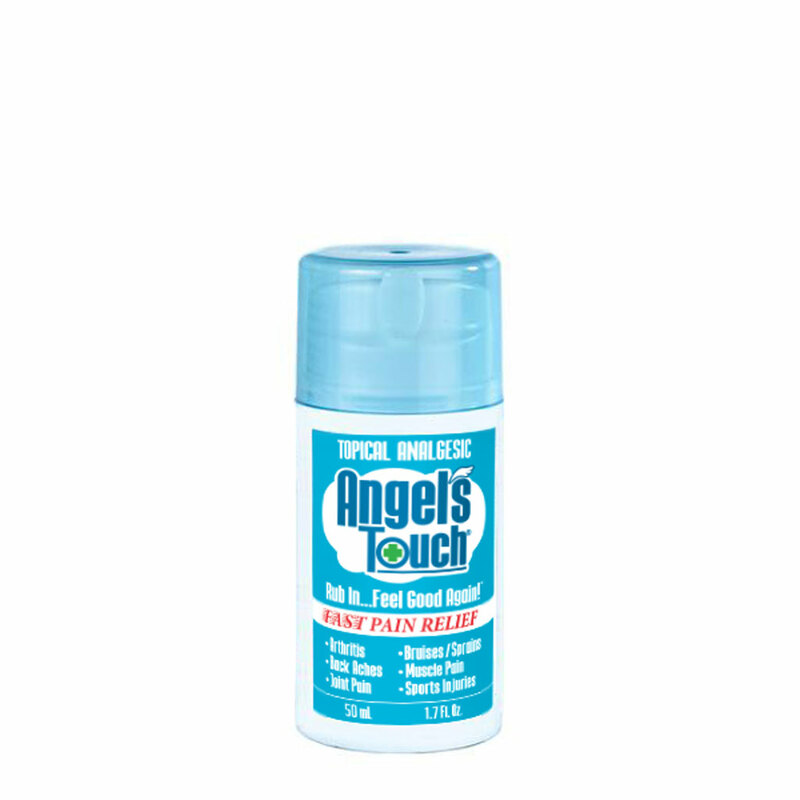 Angel’s Touch has a unique airless pump dispenser that delivers a sanitary, odorless, non-greasy, fast-acting formula while moisturizing your skin.